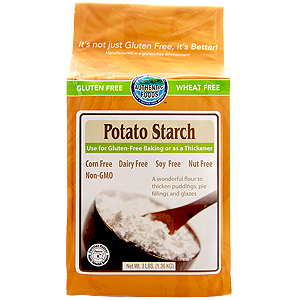 The Authentic Foods Potato Starch is Non-GMO and is manufactured domestically. 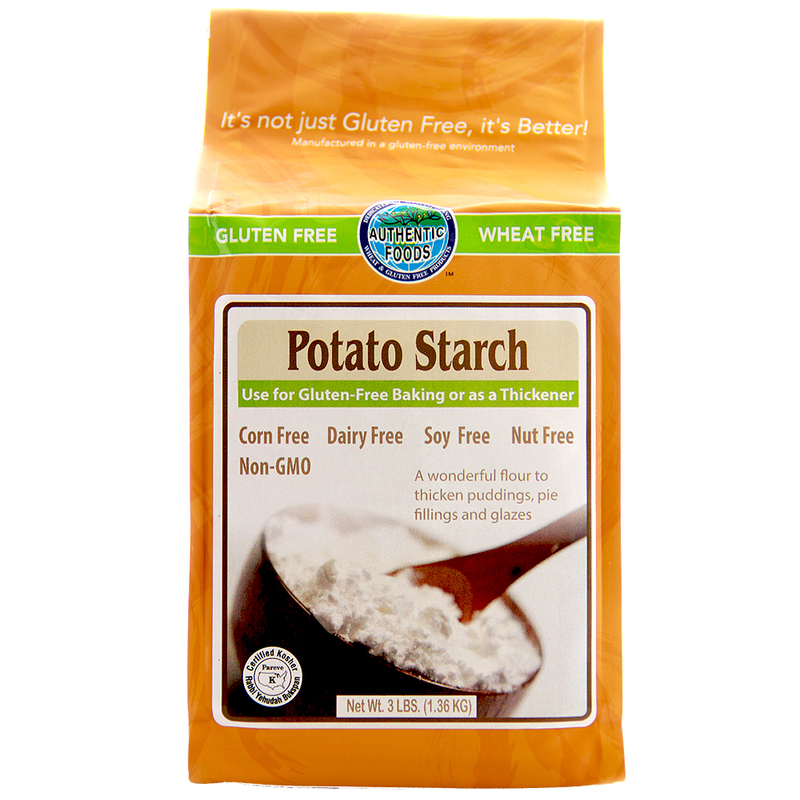 This is a great starch to use in gluten-free baking and cooking for sauces, gravies, stews and thickened soups. Making baked goods with potato starch will add volume to your finish goods. For those who are allergic to corn, this is the perfect alternative to using corn starch. Preheat oven to 350 degrees Fahrenheit. Grease a Bundt or Tube pan. Beat egg yolks and sugar until creamy. Then mix in the potato starch and lemon juice. In another bowl, beat egg whites with salt until foamy. Fold this mixture into the potato starch mixture. Then pour this into the greased Bundt or Tube pan. Bake in oven for 25 to 30 minutes or until the cake bounces up to the touch.